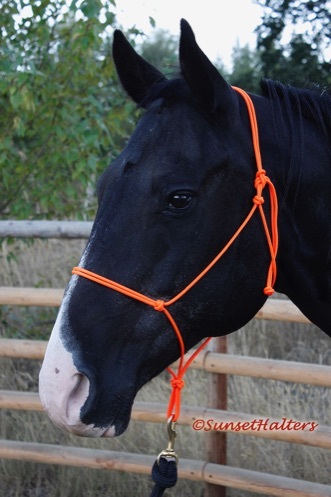 'Sage' is shown wearing an orange large horse 5mm accessory cord rope halter. We use a fiador knot at the chin, our special throat latch knot, and lovers knots throughout. The ends are also finished with lover's knots. This halter, because of it's small diameter, has alot of 'bite' to it. These are great for grabbing stubborn horses' attention, but will sit comfortabley on their head, as long as they don't pull against it. It's also great for fitting the smaller newborn, foal, or mini head. This is a very flexible rope, that also easily fits underneath a bridle. We do not recommend tying your full sized horse solid with this halter-- especially a known puller. It creates too much pressure on a very thin area. 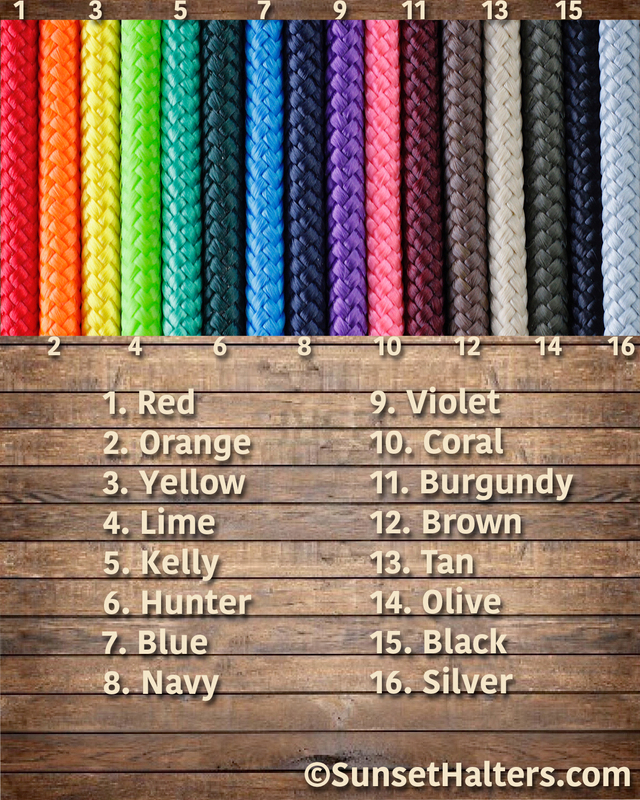 Available colors shown below. You choose from our 8 main sizes. Starting at $14.50. Custom sizes are available at no extra cost.